In 2011, PARC initiated the Visionary Leader Award. This award recognizes an individual in North America who exemplifies extraordinary leadership, vision, and commitment, specifically to PARC, in a manner that has carried PARC to new heights and has significantly forwarded the PARC mission. Nominees for the award are not publicly solicited, but rather are determined via the PARC Joint National Steering Committee members, in collaboration with their regional, federal, state, and other member partners. This award shall be presented no more than once per year, although it may not be presented annually. The award is accompanied by an engraved plaque, $1,000, and travel expenses to the award ceremony at an annual professional meeting, all of which are provided by our partners at the Amphibian and Reptile Conservancy. It is with great pleasure to announce that Priya Nanjappa has been selected as the recipient of the 2019 PARC Visionary Leader Award! Serving as both the PARC National Coordinator and PARC’s first State Agencies National Coordinator, Priya has been a driving force and foundation for our network for the last 13 years. Her leadership, vision, and enthusiasm have significantly advanced the PARC mission and carried our success to new heights. During her time serving the PARC network, Priya has worked tirelessly advocating, building, guiding, and leading PARC as it has grown into the organization it is today. When PARC was a fledgling organization, Priya’s talents were immediately apparent. She initiated key processes and campaigns raising the visibility of PARC and kept the network afloat through times of instability, transition, and growth, all the while building partnerships, cultivating networks, and inspiring other relationships that continue to be the key to PARC’s success. Through her vision, insightful ideas, and interpersonal skills, PARC grew and meaningful contributions to the organization and amphibian and reptile conservation were accomplished. Priya’s strategic vision, and her drive to lead and engage with others to achieve it, epitomizes visionary leadership. 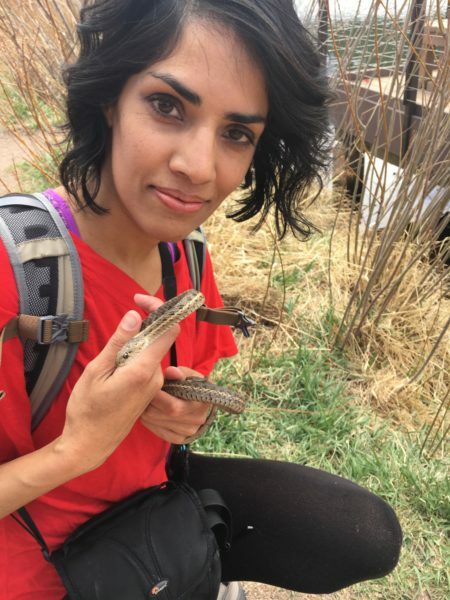 Furthermore, Priya has made significant contributions to every PARC product produced over the last 13 years including the Habitat Management Guidelines series, Inventory and Monitoring document, PARC and DoD PARC Strategic Plans, PARC annual reports, Bsal Rapid Response Plan template, and the Priority Amphibian and Reptile Conservation Areas criteria document. In addition, she has co-organized and/or led the event planning and logistics for an international Bd meeting (Translating Science into Urgent Action); the Understanding Agriculture’s Effects on Amphibians and Reptiles conference; the Herpetofaunal Regulatory Summit; the Roads and Small Animals symposium; and the 15 and Forward PARC symposium at The Wildlife Society annual meeting. Lastly, Priya has led the development, submission, and ultimately oversight of numerous grants (such as a Competitive State Wildlife Grant, a North Atlantic Landscape Conservation Cooperative grant, and a donation from a private philanthropic funder) in support of amphibian and reptile conservation and management projects. Priya has been and will continue to be a major influence and force within the PARC network and her hard work and dedication to our group is unsurpassed. PARC congratulates Priya, our fourth recipient of the Visionary Leader Award! Kurt has been a devoted member of PARC since its inception in 1999 and remains a tireless leader on a variety of issues related to PARC. In particular, he was a leader in the development of the PARC Habitat Management Guidelines series, serving as a series co-editor, and also was a key editor of the PARC Inventory and Monitoring Guide. Kurt put the tools into action when he helped conceive and conduct a series of regional habitat management training workshops. Few rival Kurt in terms of his genuine mentoring of younger PARC members, and he is often seen chatting at conferences, taking an honest interest in the work of PARC’s youngest members. Kurt’s peers recognize his rare, unselfish charisma – which is part of the reason so many schools, colleges, universities, and organizations ask Kurt to speak. In the field of herpetofaunal conservation, and in his roles for PARC, he leads by example, and is truly a Visionary Leader. 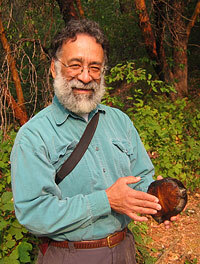 In our second year of this award, PARC recognizes Ernesto (Ernie) Garcia, an integral member who led PARC during its early years, while also serving as an influential official with the U.S. Forest Service (USFS). Ernie’s conservation career was preceded by a stint as a U.S. Navy corpsman in a pediatric ward in the mid-1960s. When war casualties began coming in from Asia, he volunteered for the Fleet Marine Force operating in Vietnam. After completing field medical school, he requested assignment and was selected to serve as a medic in a U.S. Marine rifle platoon. Ernie doesn’t talk very much about this part of his career, but it is no surprise that this man served honorably, and was so discharged after over 5 years of decorated service to our country. After receiving his Baccalaureate and Master’s degrees, Ernie worked as a Wildlife Biologist on several National Forests in the West before moving to the Caribbean National Forest where he served as Forest Biologist for over a decade. He worked on a variety of species, from bighorn sheep and other large ungulates, grizzly bears, and spotted owls to Amazon parrots, tropical freshwater shrimp and fish, Africanized honey bees, and Eleutherodactylan frogs. His tenure with the USFS ended as Wildlife Program Leader for Southern Region, stationed in Atlanta, covering forestlands in 14 Southern states, the Virgin Islands, and Puerto Rico. 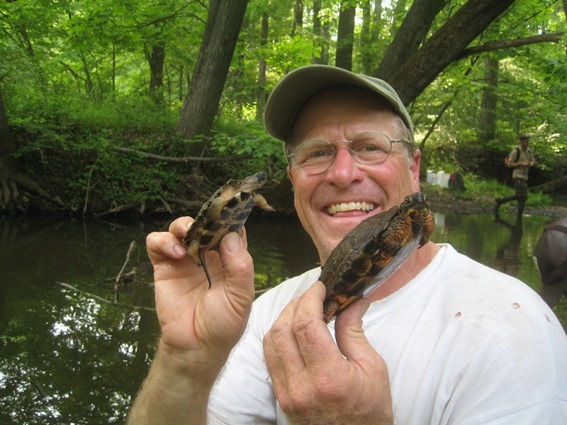 There Ernie became interested in, and recognized the many conservation needs for, amphibians and reptiles and began working with PARC since its inception in 1999. 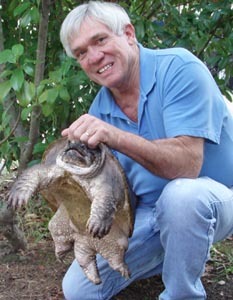 In this role, Ernie was able to assist in directing federal funding to a variety of PARC projects that were of mutual interest to the USFS as well as to herpetofaunal conservation. Among the successful projects that can be directly attributed to this person’s efforts are the development of the regionally-based Habitat Management Guidelines and the initiation of the Inventory and Monitoring manual. Then, at a time when his years of federal service could have afforded him retirement, he put his name in the ring for the PARC Federal PARC federal agencies’ coordinator, serving in this role for nearly 5 years. His enthusiasm and encouragement of PARC products and project, like the HMGs and I&M manual have been a key factor in their development, production, and continues today toward the final product completion. In particular, the HMGs have served as a useful tool for educating members of the public about herpetofaunal conservation at a practical level, and their preparation and expansion under this person’s leadership into on-the-ground trainings has strengthened collaboration among colleagues and helped developed new partnerships. The upshot has been a stronger herpetofaunal conservation community on a national scale while maintaining the identity and strength of the five PARC regions. His charismatic personality and push for accomplishment have been motivating factors in all regions and at all levels of PARC membership. As an example of Ernie’s visionary nature, he was the first PARC Federal Coordinator to engage the Department of Defense and Federal Highways, making these two new signatory agencies on the PARC Federal Agencies MOU. His efforts with DoD have now developed the partnership into a new platform, DoD PARC, which has initiated a new era of herpetofaunal conservation on military installations throughout the world. Ernie embodies the definition of a visionary for PARC, always thinking of new ways to partner with others toward the big-picture goal of herpetofaunal conservation. He has engaged unlikely partners, such as people from the forest products industry and pet industry. He is energetic, creative, and forward-thinking, and without his motivation and efforts towards herpetofaunal and habitat conservation, PARC would not be moving ahead at the pace it is today. He has consistently gone above and beyond his scope of work to invest in conservation with passion, and is truly a unique individual who has a profound impact on those whom have had the pleasure of working with him. Generous even in his retirement, he now serves as the unpaid Executive Director of the Amphibian and Reptile Conservancy (formerly the Friends of PARC), a non-profit that he co-founded, and where he continues to lead the charge to fund and facilitate various PARC and other herpetofaunal conservation projects. The first-ever recipient of the PARC Visionary Leader Award is J. Whitfield “Whit” Gibbons, an Emeritus Professor at the University of Georgia and Head of the Environmental Outreach and Education Program at the Savannah River Ecology Laboratory. Dr. Gibbons has devoted much of his life to herpetological research and conservation, and was a significant player in the founding and development of PARC and into its first decade. J. Whitfield “Whit” Gibbons has been tremendously successful in developing students, >40 undergraduates and 45 graduates, and into driven professionals who go on to secure academic, state, and federal jobs, and many have become leaders in conservation science. He valued applied research before it was popular and while doing so, served as a powerful role model to undergraduates and Ph.D. students alike. Whit has developed and fostered expansive environmental outreach programs centered on amphibian and reptile ecology and conservation. His outreach programs have included 100s of lectures and workshops, >1000 newspaper and magazine articles, educational videos and television productions, and 21 books focusing on herpetology and conservation. Whit is a natural leader and has an innate ability to enthusiastically bring people together, to approach them within the context of their training and position, and to not belittle their perspective or absence of facts. He also has that far-reaching knowledge to put current issues into historical perspective through personal stories and often exciting field experiences with herps. It is not uncommon to find Whit with a cigar in one hand, and a snake in the other. PARC congratulates Whit Gibbons, our first PARC Visionary Leader.